No matter how handy we are around the house, we can all use a few pointers now and then to make our lives a little bit easier. Though it’s become a trend in the internet age to find these little tips and tricks and call them life hacks, the truth is that this is not a new phenomenon. In fact, people have been collecting and trading these tricks for more than 100 years! Still, with all of that history in mind, we’ve added in some newer tips as well to give you the best of it all. 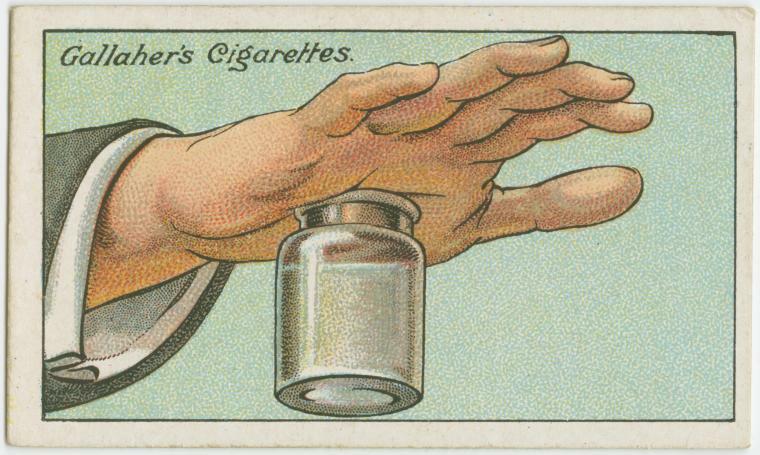 With no further ado, here are 55 old but useful life hacks. 1. Use a magnet to keep your paintbrushes in place. If you have any painting to do around the house, this tip could save you a lot of hassle. Instead of carefully leaning your paintbrush against something or leaving it in a conspicuous place, simply buy a small U-shaped magnet and hang it over the edge of your jar or paint can. This way, you can stick your paintbrush to it and it will always stay in place! 2. 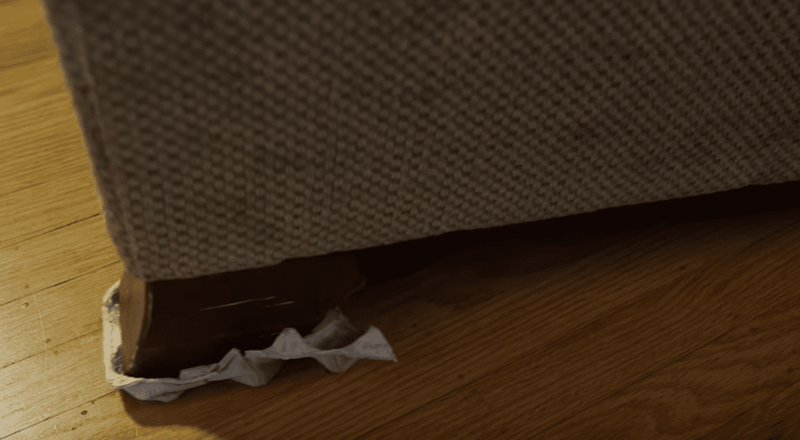 Put crushed food cartons under the corners of your furniture to move it with ease. Although moving around furniture is a lot easier if you can slide it, you can also scratch up your floors that way if you’re not careful. Fortunately, there’s an easy fix—all you have to do is crush some milk cartons and put them under the corners of the couch. If you don’t have milk cartons around, you can also use some empty egg cartons as well. 3. Make an easy flashlight mount with a funnel and a rubber band. If you’re moving things round your house in a basement or in some other dark area, you may need to use a flashlight. If your work requires two hands, not having a way to shine the flashlight in place while doing whatever you’re doing is a real problem. 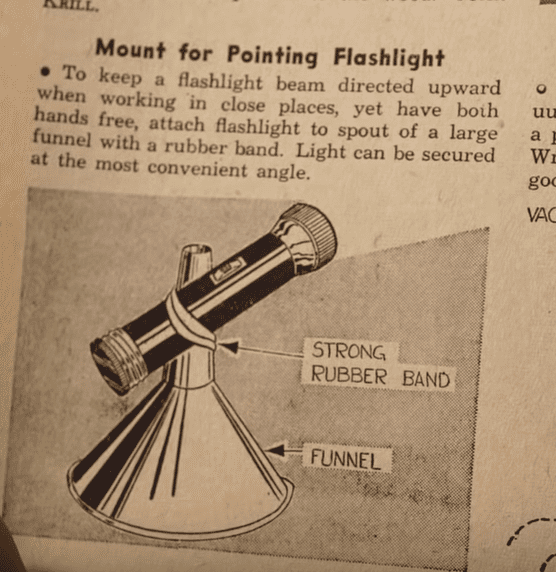 Fortunately, you can make a simple flashlight stand by wrapping a rubber band around the flashlight and around the funnel. You can also easily move it around as necessary. 4. Roll your packages of bacon before you take them out to cook to make them easier to pull apart. Although bacon tastes delicious, getting all the strips out of the package without ripping them apart can sometimes be difficult. If you’re like most of us and you buy your bacon in plastic from the grocery store, try rolling the whole package around between your hands before you open it. Getting the strips out individually after that should be easy! 5. 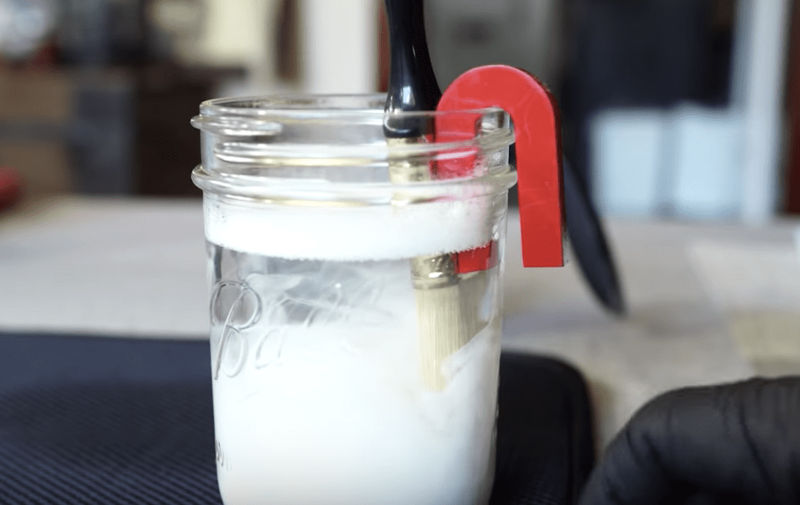 Make it easier to pour liquids through a funnel by using a ball of steel wool. 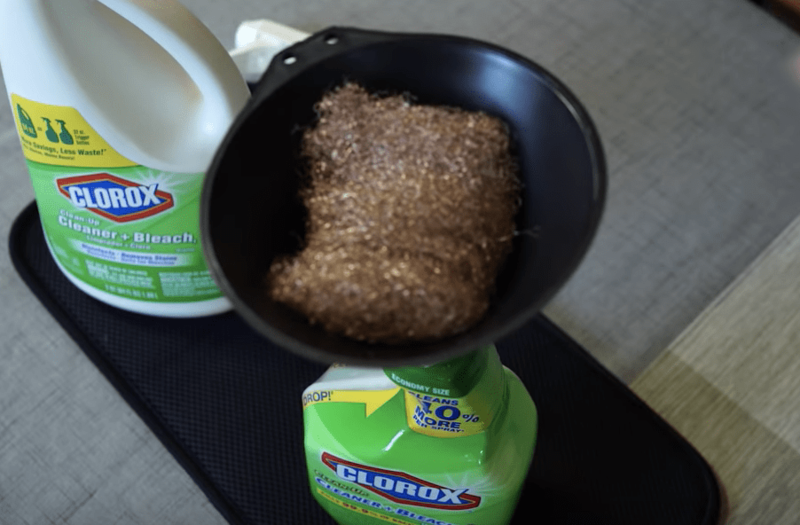 Though it’s a pretty straightforward process to use a funnel, you may have noticed that they can overflow and make a mess if you’re not careful. As it turns out, all you have to do is put a ball of steel wool in your funnel and pour your liquid over it. Using this trick, you won’t have any more spills again. 6. Use an elbow spring to get rid of the need for doorstoppers. If you have a door that you use a lot in your house that shuts behind you when you don’t want it to, you don’t have to replace the entire door. Instead, go to the hardware store and buy a simple elbow spring. Take the bolt out of your door’s hinge and place the spring on top of it. This way, your door will naturally stay open and can still be closed when you need it! 7. 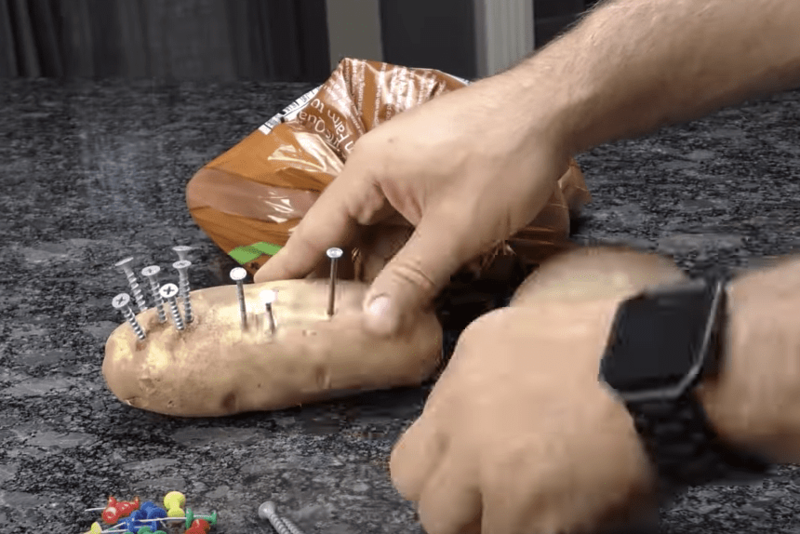 Use a potato as a pincushion for pins and nails. 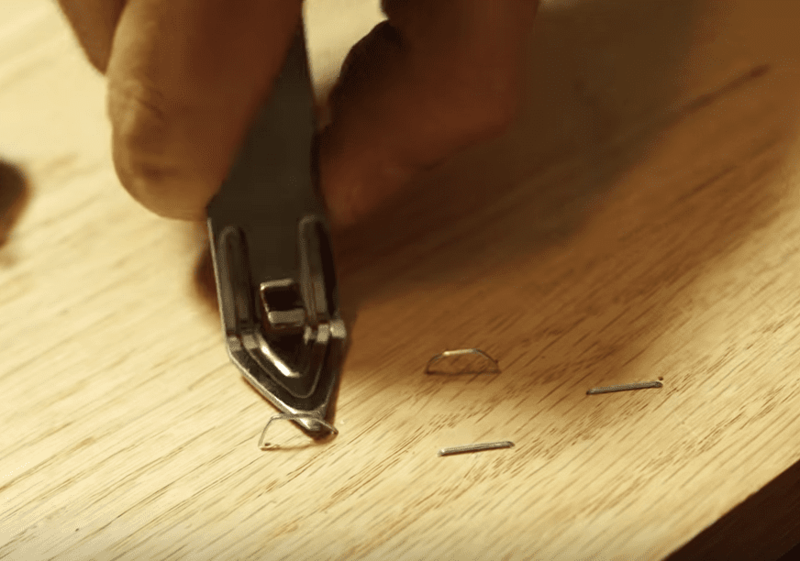 If you’re doing any sort of project that requires a lot of small nails or pins, you know how much of a pain it can be to keep all the pins in one place without losing them or spilling them. As an easy trick to take care of this, cut a potato in half and put all your pins in it! 8. Use a bottle opener to take carpet staples and nails out of floorboards and other surfaces. If you’ve ever tried to take old staples and pins out of wood or a wall, you know just how hard it can be. If you don’t have strong fingernails (or even if you do), getting some of them old is nearly impossible. Instead, just use the end of a bottle opener to pry them out with ease. 9. Put a drop of hand soap into a suction cup to give it more grip. Suction cup soap holders and other storage solutions are really helpful, but they don’t always stick to things the way we want them to. On certain surfaces, the suction cups can slip off and spill our stuff. To avoid this problem, try putting a drop of hand soap inside it before sticking it on something. The glycerin in the soap will give it more suction! 10. Unseal an envelope by using an iron on the steam setting. Have you ever had the experience of accidentally sealing up an envelope before putting everything you needed to inside of it? 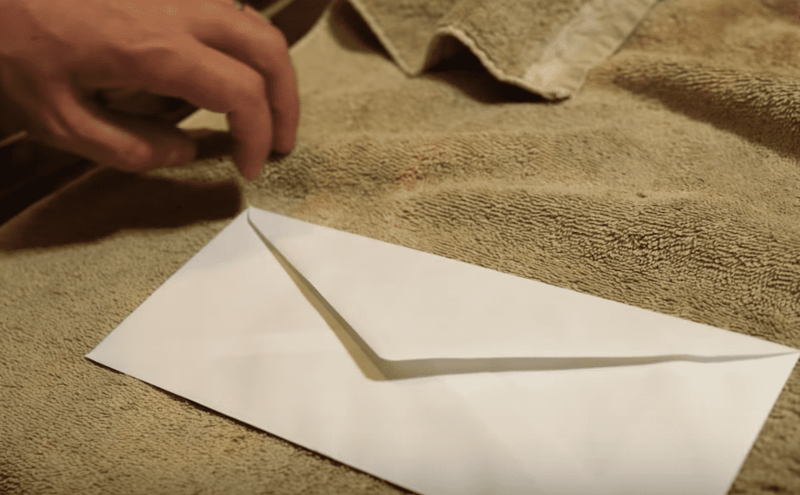 If so, don’t worry—you can easily reopen an envelope without tearing it by ironing it on the steam setting after putting it inside a towel. After a few moments, it will come easily undone. 11. 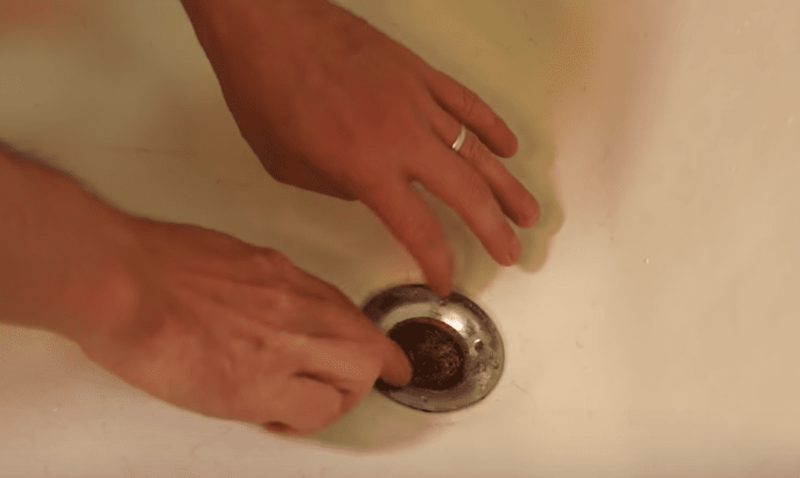 Put some steel wool in as a drain stopper. If there’s one thing we’re learning from these hacks its that steel wool has a lot more uses than we thought! For another one, try putting a ball of steel wool in your drain as a hair catcher. The water will still flow through it and will catch anything else that’s going to get stuck. 12. 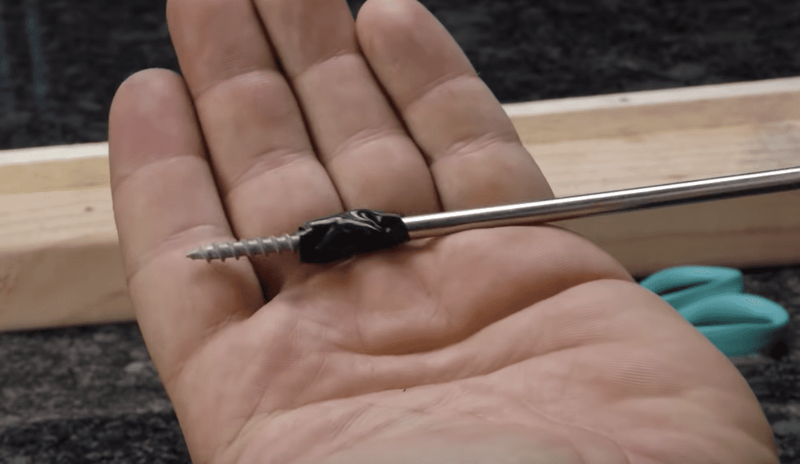 Use electric tape to secure a screw to the end of a screwdriver. Although many of the tips of power drills are magnetic, it can still be tricky to get some screws started. 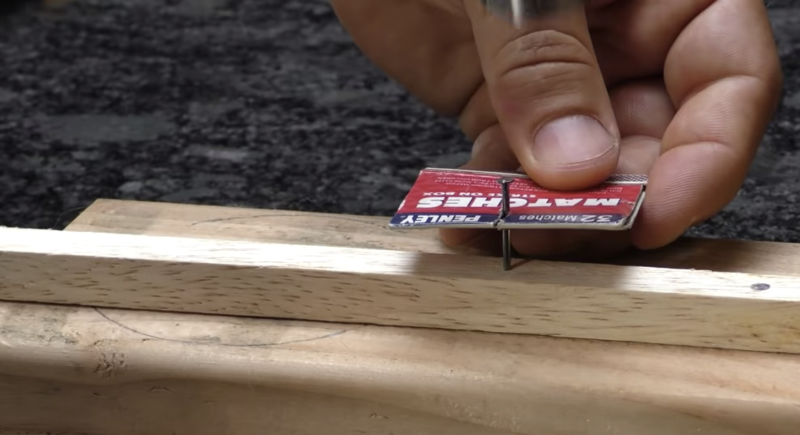 To help this process out, simply use some tape to secure the screw to the end of the drill. Once it’s started, take the tape off and you’re good to go. 13. Use a slit in a matchbook to keep small nails in place. Similar to the tip above, sometimes getting smaller nails started is difficult as well. They can easily slip out of your fingers, or else you could accidentally hammer your fingers! To solve this problem, cut a slit in a matchbook and fit the nail through it. Once you’ve got it started, you can move it out of the way again. 14. Hide important documents and cash behind a drawer. In general, it’s a good idea to keep an envelope with your important documents in it, and to keep it somewhere safe. If you want to improve your hiding place even more than usual, try taking a drawer out and pinning an envelope behind it. Nobody else will be able to find it and it’ll be safe! 15. Keep an extra dustpan around to take hot dishes out of the oven easily. Although oven mitts can be helpful when taking hot dishes out of the oven, they wear out over time and it always seems like we can’t find one when we need one. Fortunately, there’s another solution to this problem. 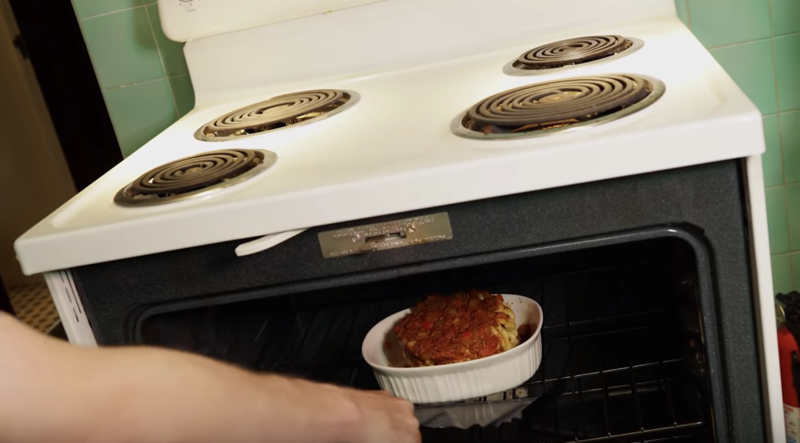 Invest in a metal dustpan that you can slide in the oven to take out heavier casserole dishes in one simple swoop. 16. Press an adhesive strip of rubber on top of your hammer to protect the floor when pulling out nails. Although the backside of a hammer is easy enough to use to pull out old nails, doing so can sometimes leave marks in the surfaces you’re pulling out of. To avoid this, try putting a strip of rubber with some glue or tape on the back on top of your hammer. When you pry this way, the strip will provide some extra protection to the floor. 17. 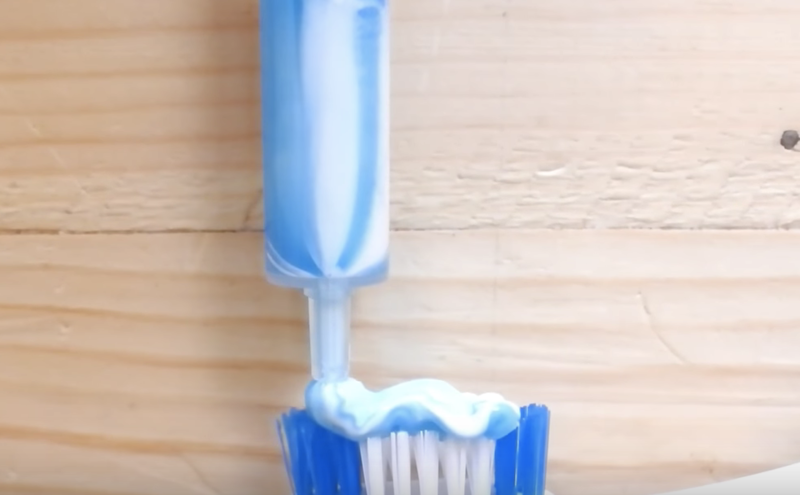 Use an empty plastic syringe to make a toothpaste dispenser. As many of us probably already know, getting the most out of your tubes of toothpaste is sometimes a challenge. To truly get everything out, you have to squeeze from the bottom and roll as you go. On the other hand, you can also put a little bit of toothpaste in a plastic syringe and hot glue it to a piece of wood, mounting that to the wall. Put the plunger back in it and you can carefully control the flow of toothpaste. 18. 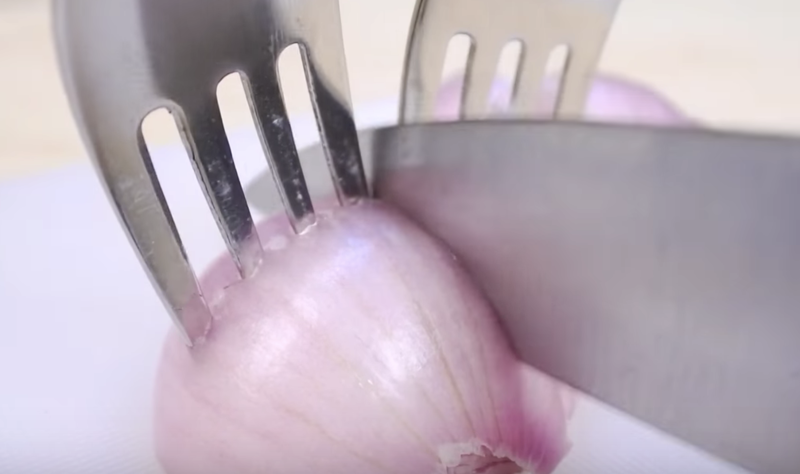 Use a pair of forks to help you cut your onion into slices more easily. Though there are many different ways to cut up an onion, sometimes you want to get some evenly sliced whole pieces—and that can be somewhat tricky. To make your life a little easier, cut an onion in half and then stick a few forks down into it. Use your knife to cut between the tines for easy slices. 19. 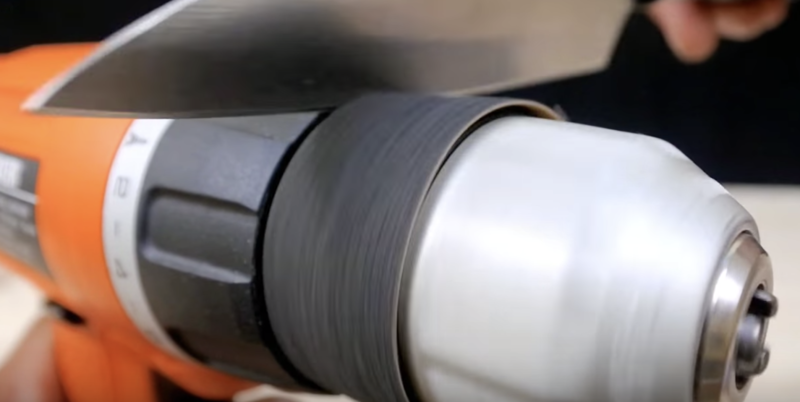 Make an electric knife sharpener using a strip of sandpaper and a drill. 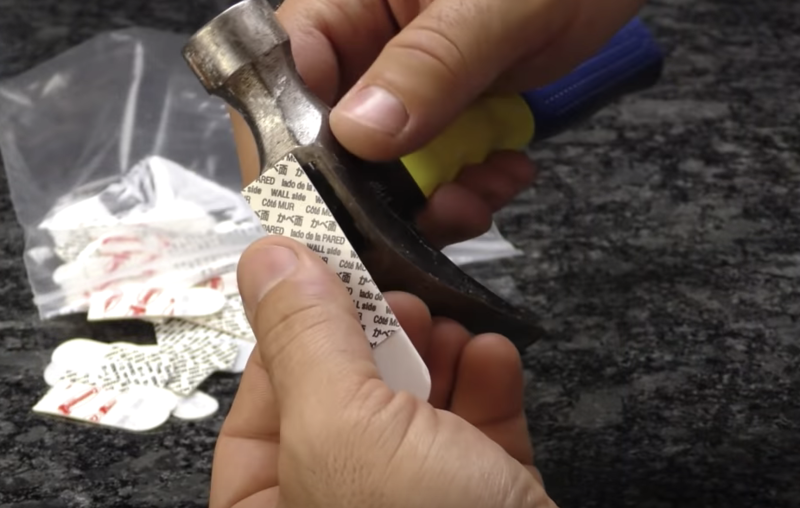 Though it seems relatively simple to sharpen a knife by hand, it’s not always as easy as it seems. It requires a little bit of technique to get it done perfectly and evenly on each side. As an alternative, you could also cut a strip off sandpaper off and glue it around the end of a power drill with no bit in it. This way, you can turn the drill on and put your knife on the end of it to easily sharpen it up. 20. Use a little bit of toothpaste to clean off your phone screen. If you have an Android phone or an iPhone, you probably know that their faces can easily get marred up or dirty. Though you can polish them off in a number of different ways, one of the best ways is to use a little bit of toothpaste. For whatever reason, the chemicals in the toothpaste will clean the screen off perfectly and leave it sparkling. 21. 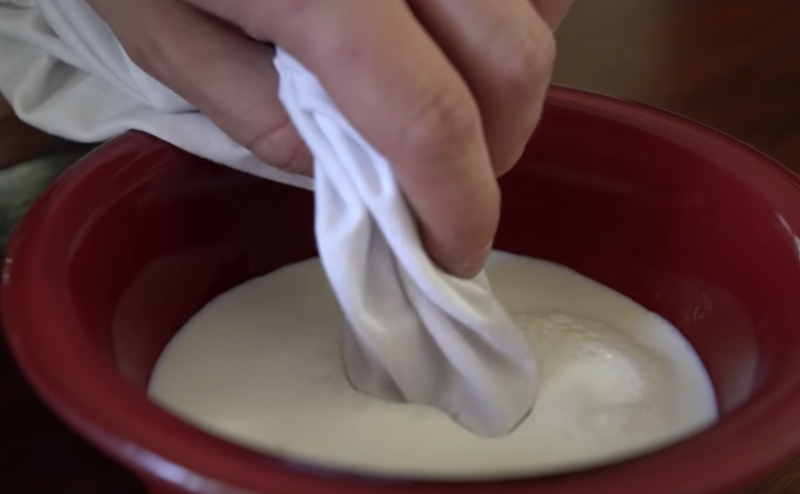 Take ink stains out of a handkerchief or clothing by soaking it in milk. Nothing is more irritating than getting ink into one of your favorite shirts or articles of clothing. Although a lot of the typical methods don’t work on ink, soaking it in milk will help you get it out. First, soak it for about 20 minutes and then scrub the affected area with a rough sponge. The fat in the milk will help carry the ink out of the fabric. 22. 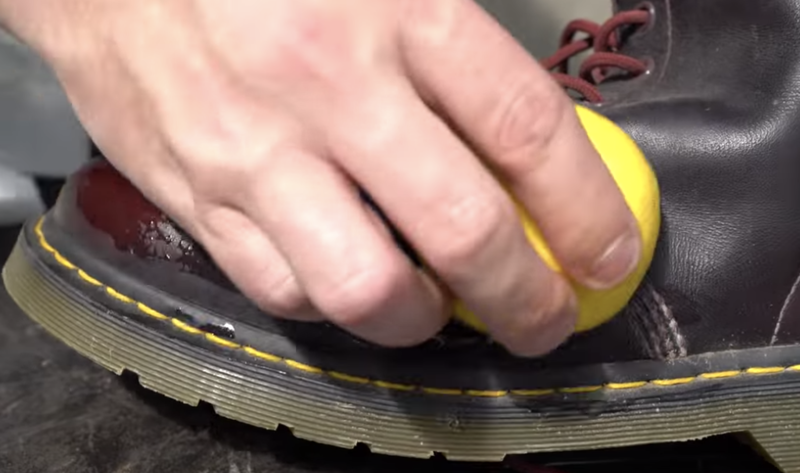 Use a lemon to polish your boots. 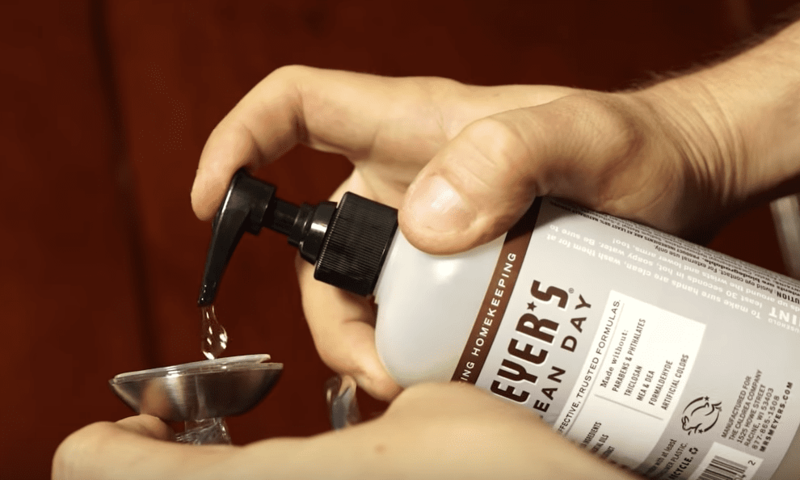 Although you can also use an actual polish to clean up your scuffed boots, new boots are notoriously hard to polish—plus you may just not want to spend the money. Instead of doing that, just cut a lemon in half and use it to scrub the entire boot down on all sides an edges. When you’re done, wipe it down with a paper towel to get the liquid off and you’re done! 23. Keep your flowers fresher by putting them in the end of a potato. 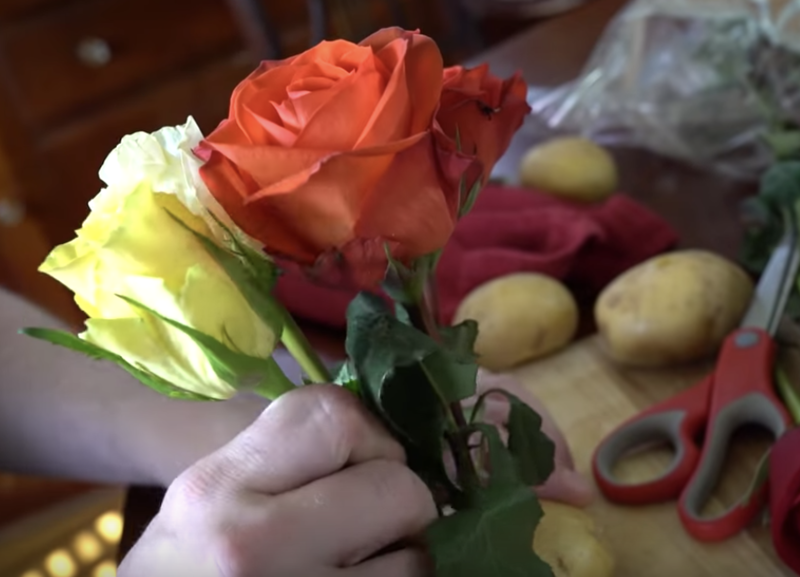 Although it may seem like an unusual way to display your flowers, keeping the stems of your cut flowers in a potato actually helps them stay fresher for longer. The water content of the potato helps as do the nutrients that the potato contains. Although it doesn’t look quite the same as a vase, if you have a decorative bowl to keep the potatoes submerged in water as well, you can still make it all look presentable. 24. Use coins as a shorthand for measuring weights and lengths. 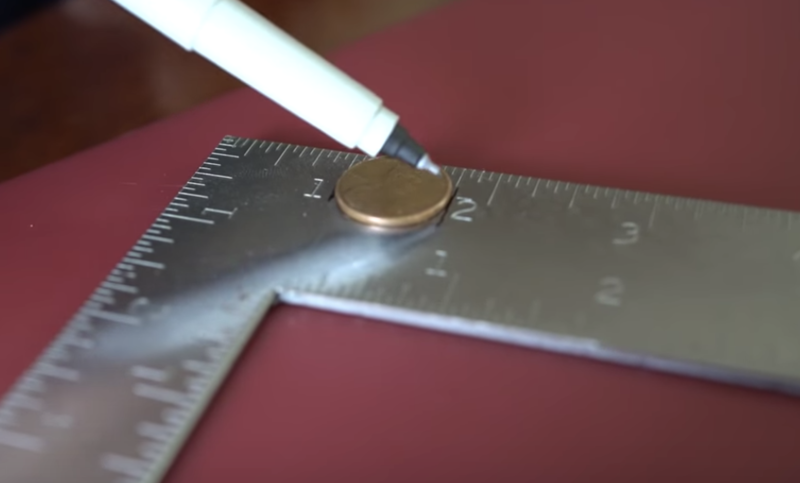 If you don’t have a ruler or a weight handy but you still need to guess the value of one of those two things, just try using some common pocket change! As it turns out, a quarter is about two tenths of an ounce. With that in mind, five quarters is an ounce. Similarly, a penny is about 3/4 of an inch—try using a handful of pennies to estimate short distances in a pinch. 25. 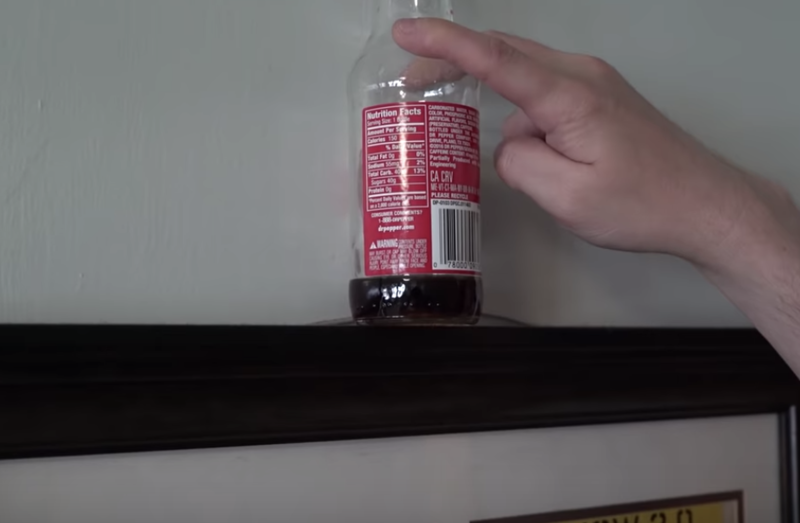 Use a soda bottle with a little bit of liquid in it as a makeshift level. Trying to hang pictures or other decorations so that they sit perfectly level can be a challenge, particularly if you don’t have the proper equipment. If you’re ever in a pinch, try using a bottle with just a little bit of liquid in it (ideally, up to the bottom of the bottle’s label). Set the bottle on top of the thing you’re leveling and keep adjusting it until the liquid in the bottle is flush with the bottle of the label! 26. Cool a drink down quickly without using any ice. If you don’t have a bag of ice around but you want to cool down something you’re drinking, try wrapping the bottle in flannel or a kitchen towel, putting it all in a bowl and soaking it under cold water. 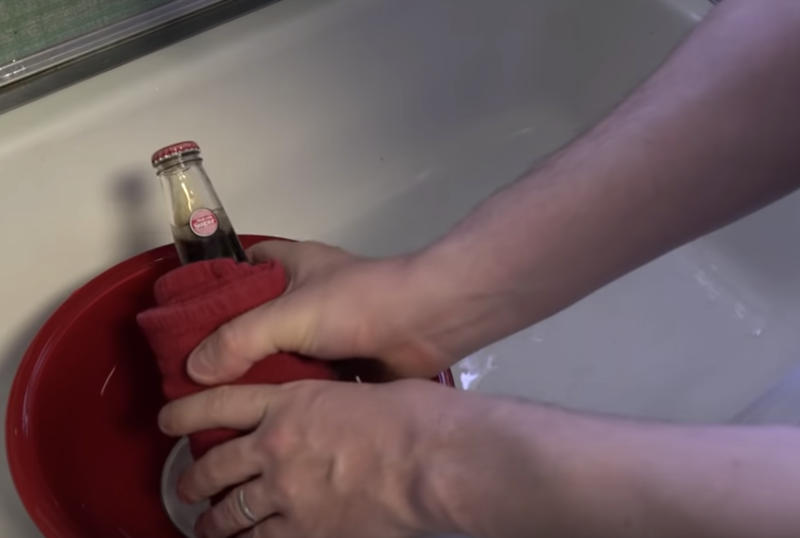 Let the water run for a few minutes and you should be able to lower the temperature of your beverage about 10 degrees at least. 27. Use hot water in a glass bottle to draw out a splinter. Getting a splinter in your hand is one of the more irritating experiences one can have in life—especially when we can’t get it out after trying over and over. Fortunately, there’s a simple trick you can do to make life easier. Simply get a small glass bottle, fill it with hot water and press it under the area where the splinter is. 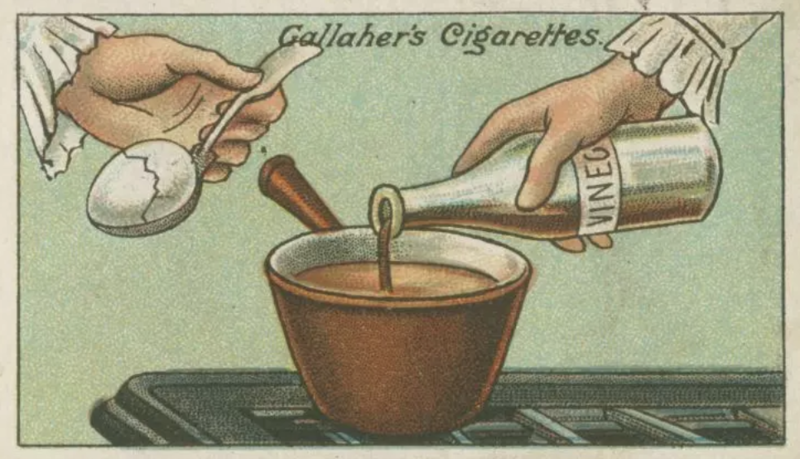 The steam and suction of the bottle should pull the splinter right out. 28. 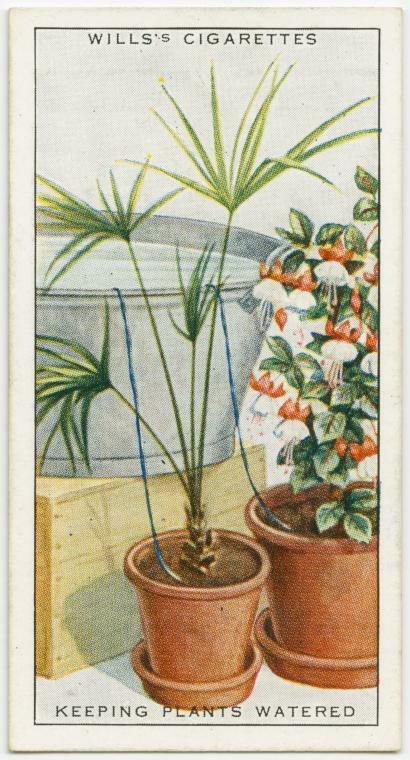 Keep your plants watered while you’re away with some wool. Nobody likes to let their plants die while they’re off on vacation. To fix this problem without a house sitter, weave three pieces of wool together so they form one strand. Put one end of the wool at the bottom of a heavy pail of water, weighted down so it sits at the bottom. Put the other end of the wool in each of the plants that needs watering. This way, the water will transfer from the pail into the plant at a slow pace throughout the entire time you’re away! 29. Make your own water filter for emergencies out of basic materials. Although we wouldn’t recommend this as your default filter, this system still can come in handy in a pinch. 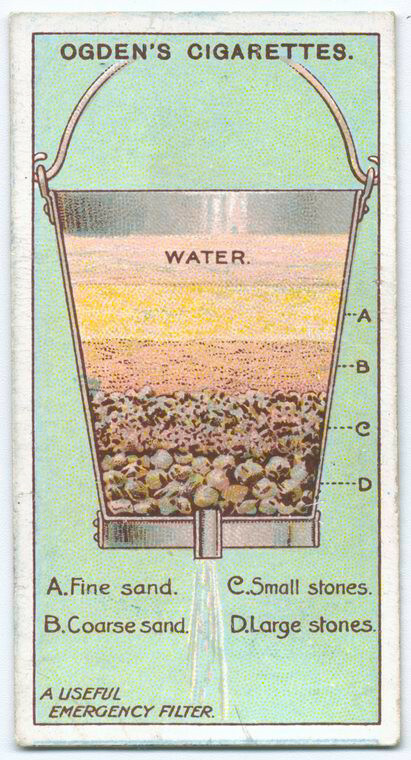 To make your own water filter, simply get a bucket and fill it with layers of coarse rocks, smaller rocks, coarse sand and fine sand, in that order. Make sure there’s a hole in the bottom as well. The water that comes out of the bottom should be filtered enough to drink safely when it flows from the bottom of the bucket. 30. Cut bread into very thin slices by using a bowl of boiling water. If you buy your own loaves of bread whole, you may know that cutting into it can be a little bit tricky at times. To make this process easier, try having a bowl or vase of boiling water nearby to dunk your knife it. 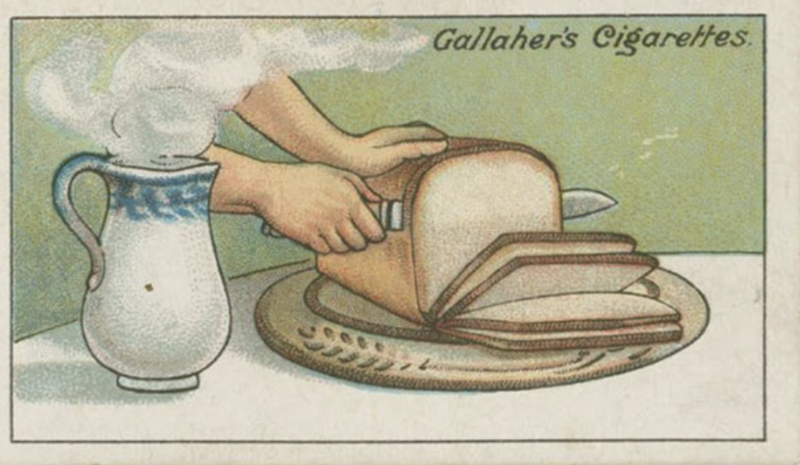 When the water heats the knife up, wipe it off and quickly slice into the bread. The slight moisture and heat will make the knife go through the loaf much more easily and precisely. 31. Take sea or salt stains out of your brown shoes with milk and baking soda. If you work on a boat or you visited the ocean and got too much water in your shoes, this tip can definitely come in handy. To get out any salt stains, try mixing together a couple tablespoons of hot milk and about a chestnut-sized amount of baking soda. Mix it together and apply all over the shoes to the stains. When they dry, polish like you normally would and the stains should be gone. 32. Boil slightly cracked eggs by adding vinegar to the water. It’s annoying when you buy eggs and notice that one or more of them has cracked. Typically, when you go to boil these eggs, their contents come out in the water. To avoid this, add a little vinegar to the water before adding the eggs in. This way, the contents will stay perfectly inside the shell. 33. 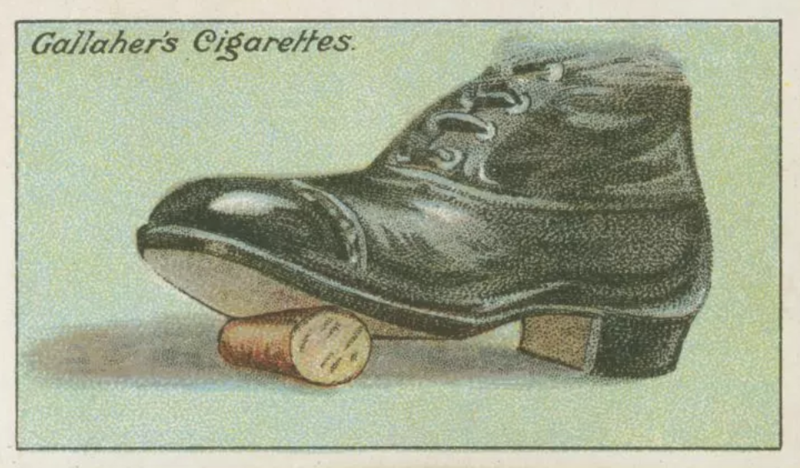 Make a cork fit by rolling one end of it under your shoe. Sometimes you’ll open a bottle of wine and find that you can’t fit the cork back in it when you’re ready to. 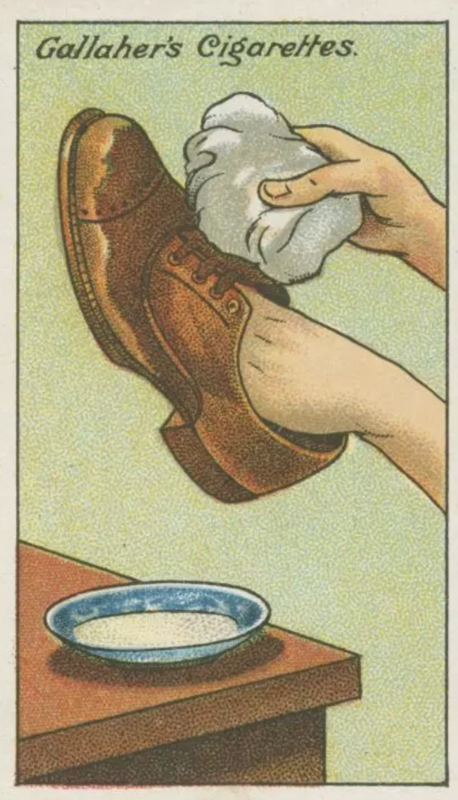 Rather than trying to pare some of the cork off, simply put the cork on the ground and roll one end of it under your shoe. Alternatively, you could do this on a cutting board with some other kitchen object. In either case, the end should now be narrow enough to fit without cutting into it. 34. Use a pocket watch to find north and south on a compass. 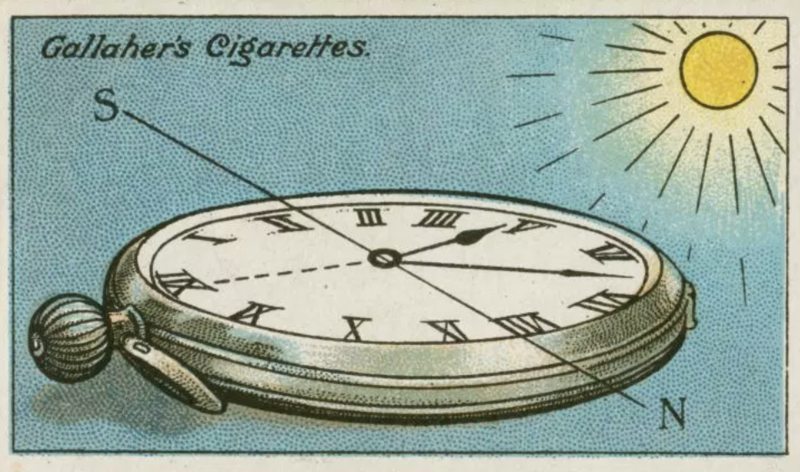 If you’re ever in a pinch and need to determine which directions are which, try using a pocket watch and a blade of grass. To do this, point the hour hand directly at the sun and put a blade of grass diagonally between the hour hand and the number 12. By doing this, the part of the blade pointing away from that area will be due south. 35. Protect your decorative vases by filling them partway with sand. Although it’s nice to have decorative vases around the house for the look of them, it’s not uncommon for them to fall to the ground and break. Fortunately, there’s a way to protect them from being bumped or nudged. 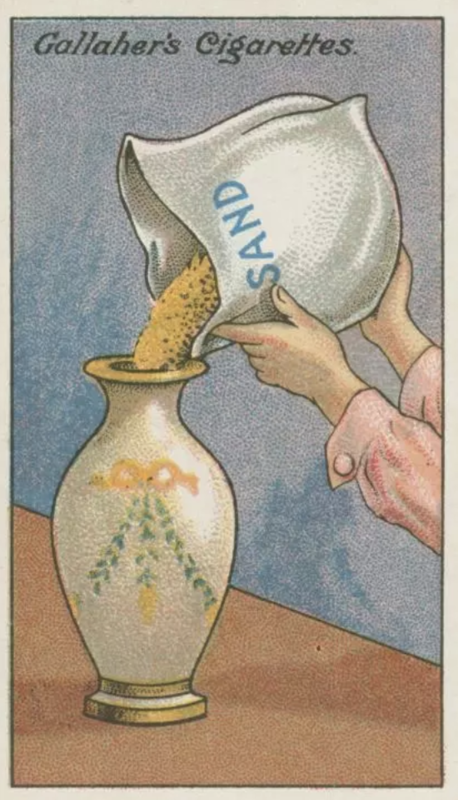 To do this, try filling the vase up partway with sand to give it some more weight. This way, any glancing movements will have less of a chance of knocking your vases over. 36. 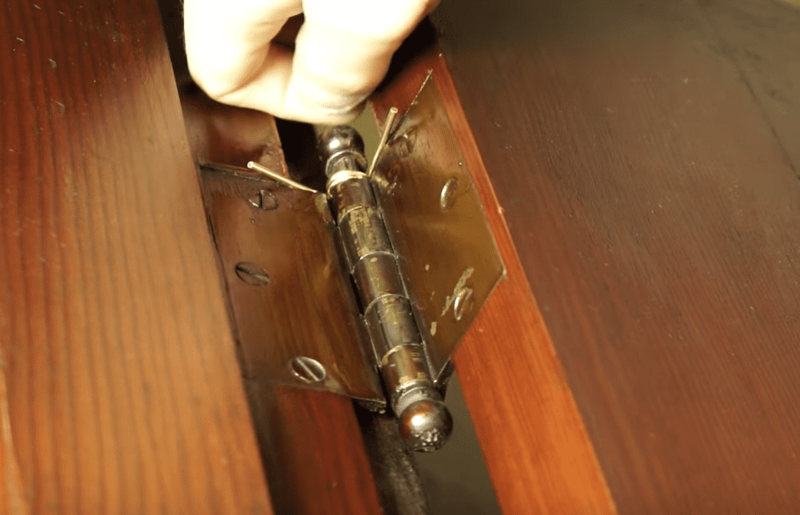 Make your own simple gate latch with a block and a nail. If you have a gate that doesn’t have a lock, why not make one yourself? 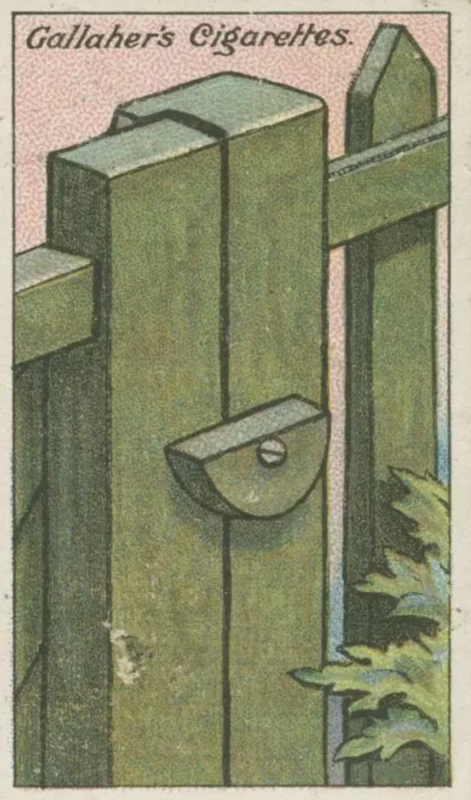 All you have to do is nail or screw a half block of wood to the side of your gate—though make sure the nail or screw goes through the middle of the block. This way, you can easily twist the block to both open and close the gate. 37. 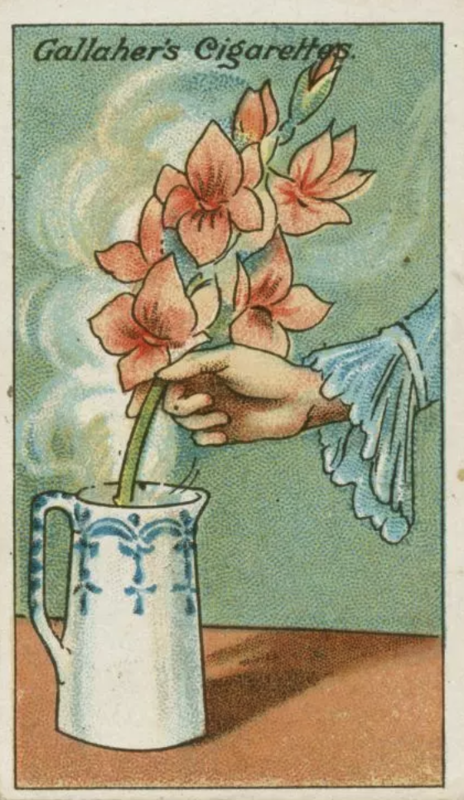 Spruce up your cut flowers by dipping them in hot water. It’s always nice to have some cut flowers around the house for decoration, but after time they can begin to wilt. To prevent or reverse this, try dipping the cut ends in a jar or vase of hot water. Let them sit until the water turns cool again before cutting the very end of the flowers and placing them in cold water again. 38. Use this trick to check the freshness of your lobster. If you’re getting ready to eat some lobster and want to see how fresh it is, try testing out the tail. Do this by bending the tail backwards gently and then releasing it. If it quickly snaps back, you can tell the lobster is relatively fresh. If it’s slow to return to its original space, it’s probably a bit old.